Today I want to talk about staying organized and motivated as a blogger! I have written about this once before but I have some new and helpful tips! I find that as a blogger, a lot of us run into “writers block” every so often. This is completely normal, but it can be super frustrating! 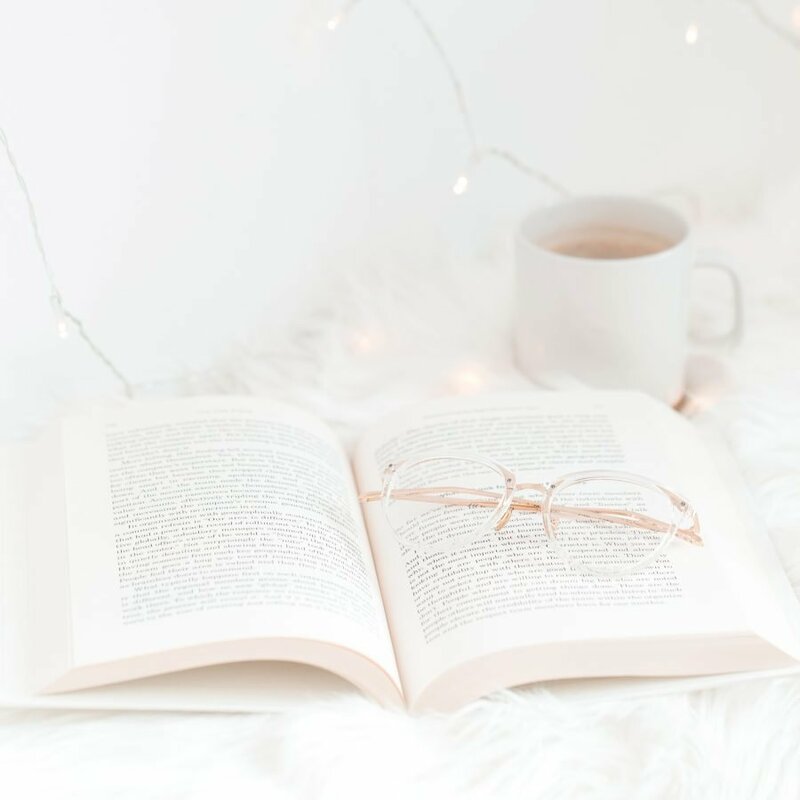 I have a few helpful tips that will help you find time, stay organized, and find your motivation to continue to write when times get sticky. I also want to thank Bloom Daily Planners for sponsoring this post! They sent me over a few planners to try out and feature and I have been absolutely loving them! Sometimes organization can be a tricky task. I am someone who get’s inspired by organization. I like to stay organized as much as possible because I find that it helps me to accomplish more. Here is some ways that I stay organized! As I always mention to GET A PLANNER! I am so obsessed with planners, especially the cute ones (: I have always been scatter brained and I find that planners really help me to stay organized. I am loving the ones that Bloom Daily Planners sent me. They contain monthly calendars, class schedules, goals for the year, a list of reasons for a party, contact book, note pages, and separate daily spaces for you to write what you’d like to get accomplished that day! You can check out their planners here ! I love to create monthly budget plans! I am a full time server at the moment so it’s important that I stick to my budget plan. As a server my income is always fluctuating. I like to take the monthly calendar spread sheet and write down what day each bill is due. Then I will do the math to figure out how much money I need to save each day I work in order to pay the bill on time! It is super helpful and keeps me on top of my bills! You can create a blog schedule by taking your planner and using the monthly calendars to plan out what blog posts you want to be up by what day! Each new month I like to sit down and plan out what posts I would like to have up for that month and what days I’d like to have them up by. This also helps with any writers block because I already know in advance what I’d like to have written! Another thing I use my planner for is to write down monthly and yearly goals! I love setting goals for myself. I find that it helps me to stay motivated and on track! Make sure that you are working on your goals everyday. Try to only do things that are helping to achieve each goal. The more focused you are, the more progress you will see! While I am out and about I will sometimes have random spurts of ideas! I can’t always act on these ideas right at that moment so instead I will pull out my phone note pad or my planner and write down my idea. This will help me to remember the idea that way I can go back later when I do have the time and actually write about it! Constantly I am asking myself, “Why isn’t there more time in a day?” I know I am not the only one who asks themselves this either! I find it super helpful to set aside time each day to do the important tasks that I need to do. Whether it’s engaging on social media, creating a rough draft of a new blog post, or simply doing the laundry! If you set aside the time, you will be able to know you can accomplish it. If you categorize your files and photos it will make it a lot easier for you to find exactly what it is you are looking for. I love to categorize everything! Searching through a million and one photos and files can be super time consuming. Creating categories and folders for my photos and files helps me to keep organized. You can keep yourself in check if you create deadlines! If you have a blog post that you want to create and publish, make sure you have a set date that you MUST have it up by and hold yourself accountable for that date. In school I was always a last minute person but I ALWAYS made sure that my projects were done by the deadlines. It’s a great way to stay focused and on track. There is really nothing better than a clean space! If my space is messy then my mind is messy. In order to feel calm, motivated, and inspired I need to make sure my space is clean and organized! I will feel extremely stressed out and overwhelmed if my home is a disaster. I also shockingly find cleaning to be very therapeutic. Am I the only one who enjoys cleaning? Probably. Sometimes it’s hard for us to stay motivated. I have plenty of moments where I feel as if I don’t want to write. I feel uninspired and discouraged. Over my blogging journey I have found tips and tricks to help me stay motivated and inspired. I find that having a space where you can go and get away is something that really helps to stay not only organized but motivated. Whether it be a home office or a nook in your room, make it your own. Fill your space with things that motivate you. I find that the city skyline really inspires me. Ever since I was a little girl I found the city to be an inspiration. I will decorate my space with city skylines and pictures of cities that I find inspiring. I also enjoy motivational quotes so filling my space with quotes that keep me motivated helps as well. Anything that makes you feel inspired should be decorating your space! I am a little unique and I love candles. Candles and scents that soothe me always decorate my space. I love peppermint, eucalyptus, & any fall scents. Candles and essential oils are my obsession. When i’m ready to sit down and write a blog post I will light my candle to help relax and get the words flowing. It’s a different technique but it works for me! If you are like me, you will find music to be inspiring and motivating. Find a genre of music that inspires you to write. For me, I love listening to jazz music. I find that jazz music reminds me of the city which inspires me to write. I know it may seem silly but it’s true! If you have a specific song or genre of music that reminds you of a time or place that inspires you, PUT IT ON! I know this may sound silly but I find that if I have cute office supplies, I am more motivated to write! Crazy I know! But I totally won’t judge if you are the same way (: I mean seriously, who can pass up some cute office supplies? NOT ME! I love setting timers for myself. It helps motivate me to make sure I complete my tasks without getting side tracked. I will set a timer when I am cleaning the house, writing a new blog post, any task that requires my full engagement. If I have a timer I feel obligated to make sure that I complete the task before the timer goes off, therefore I won’t waste any time! The biggest struggle for most of us is the fact that we get easily distracted! In order to allow ourselves to not get distracted, we need to cut those distractions out. When you are working on a specific task make sure to hide your phone. It can’t be anywhere in site! This will help you from getting side tracked by checking your social media or texting a friend back. It can wait! Also make sure you are choosing times of the day where maybe the kids are napping, or when you are able to have quiet time to yourself without anyone interrupting. Even if this is late at night, it may have to be that way. Make sure your tv is off and there is nothing to take your mind away from the task that is needed to be done. Make sure you are doing things that are helping you accomplish your daily tasks and goals. If you are doing things to keep “busy” rather than being productive, you are only hurting yourself. If the task you are doing is not helping you reach your goals in the long run, then you are not being productive, you are only keeping busy. If you strive for perfection, you will never get any blog posts accomplished. Why? Because perfection isn’t real. No one and nothing is perfect! I realized when I first started my blog I was trying too hard to achieve “perfection” that I began to never publish a new post because I thought it wasn’t “perfect” enough. Don’t be so hard on yourself. If you have spent time on your post, put thought into it, and you are passionate about what you are writing about, then chances are others will love your content! If you strive for perfection constantly, it’ll be more difficult to ever publish content. It’s true, the earlier you wake up, the more time you have in a day. If you wake up and have a morning routine you follow daily, you will feel more inspired and motivated through out the day. If you find that you don’t have the time to do what you need to do, maybe you can wake up a little earlier and try to accomplish it then. It’s also important to get a good nights sleep! Rest will help clear your mind. I know it’s difficult because I stay up until 3-4am every night working on blog related tasks. I still have trouble getting enough rest. It is essential though! This is so important! If you are constantly surrounding yourself with those who are small minded and negative, you will start to feel uninspired. However, if you surround yourself with those who are motivators, positive thinkers, and doers, you will find yourself feeling inspired everyday to be your best self! I promise you will see and feel a change! I get a lot of my motivation from Pinterest. There is so much on Pinterest that inspires me. From blog posts to cute DIYs. I find that I am constantly finding my inspiration on there. Who knows, maybe your blog post could end up inspiring others too?! Search through podcasts to find motivational speakers. I love listening to podcasts because most that I listen to motivate me to not only go after my dreams but to believe in myself. This motivates and inspires me to never give up on what I love. I hope that you have felt a little inspired and motivated after reading these tips and tricks. If you are interested in starting a blog of your own be sure to check out this helpful article! This is so helpful!! Thank you for this!! Great Blog Post!! Interesting read, but sure agree being organized can accomplish more..
Definitely go inspired especially just writing down things that need to be done. A lot can be accomplished when lists are created, organized, avoiding some distractions and much more that you shared. Thanks for taking to share. Good tips to be motivated. Awesome post as usual… i can relate to so many things you touched on! Such an insirational post ! Sometimes staying on track is challenging, but I totally agree, planning makes a huge difference ! I also love to run my diffuser when I’m working. I find it creates an environment more conducive to productivity. I find, however, that I need background noise. Without it, the quiet bothers me. I usually turn on a movie or something on Netflix that I’ve seen several times. That way I’m not compelled to really watch it, but the noise does help me stay focused.